Coronial Law is an area that attracts great public scrutiny, reflected in the recent establishment of the office of the Chief Coroner, and the number of Judges of the High Court and the Court of Appeal made deputy assistant coroners to particularly sensitive inquests. It is also an area of law that has changed significantly in recent years since the new Coroners and Justice Act 2009 came into force in 2013. 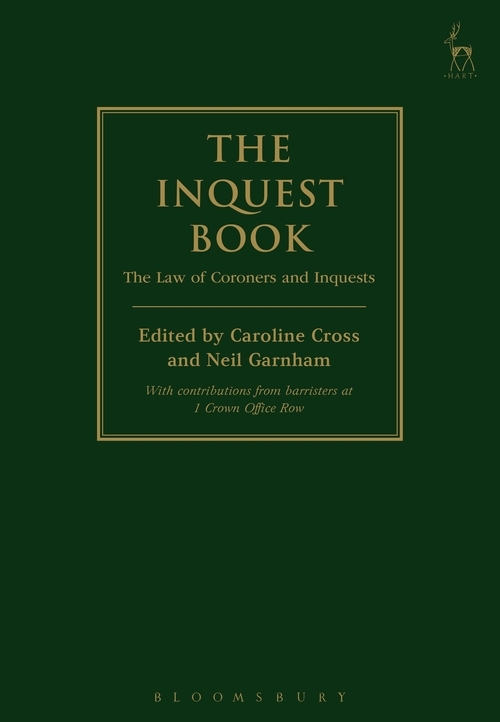 This book provides practitioners with an up-to-date and comprehensive guide to the law of coroners and inquests. Written by barristers practising in the field, it addresses changes to the structure and jurisprudence of coroners' courts in a straightforward, accessible manner. 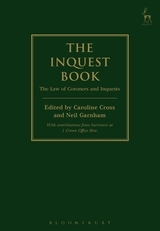 The book is helpfully structured according to the elements of an inquest or the subject matter of a coroner's investigation. Each chapter provides an overview of the legal issues, statutory material and other sources of guidance, followed by case summaries and extracts where the relevant issues are discussed. In addition, there are useful appendices of relevant materials, including applicable legislation and the Chief Coroner's Guidance. The book is an essential companion for practitioners of coronial law, indispensable to novices and seasoned practitioners alike. Caroline Cross is a barrister at 1 Crown Office Row. Sir Neil Garnham is a High Court judge sitting in the Queen's Bench Division.